Armscor makes ammunition that is reliable yet inexpensive. These .380 ACP cartridges are ideal for your training needs and work well in a variety of subcompact CCW handguns such as the Ruger LCP, SIG P238, and Remington RM380. 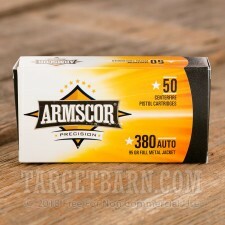 Each cartridge in this 50-round box fires a 95 grain full metal jacket bullet at 920 feet per second. 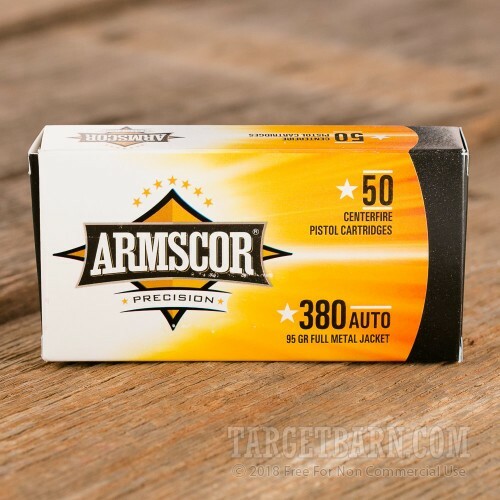 This ammo uses non-corrosive Boxer primers and brass cases. Armscor ammo is loaded in both the USA and the Philippines.